According to Nigel Clifford, chief executive of Symbian, it could signal a sea-change in how the software platform is developed. "We're freeing up innovation - this is epoch-making. "Nothing like this has been put into the open-source community before." 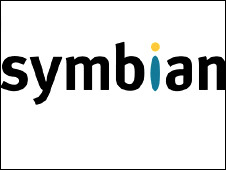 The aim is to unite several different existing software programs - Symbian OS, S60, UIQ and MOAP. At a Symbian press conference, Kai Oistamo, executive vice-president of Nokia, denied that the takeover was a response to Android. "This is taking the most proven software to open-source. It has an unparalleled existing ecosystem. It will create a gravitational pull that no developer will be able to ignore," he said. But Geoff Blaber, an analyst with CCS Insight, questioned how open the platform will be. "Can the new entity really be open when Nokia has such a vested interest? This may be the stated goal, but in practice it might be more difficult to achieve. We'll have to scrutinise the fine print of the intellectual property rights and articles of association," he said. To date, more than 200 million Symbian OS based phones have been shipped and the operating system accounts for approximately 7% of the mobile devices market.